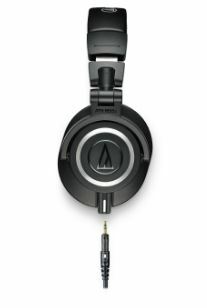 Audio Technica ATH-M50x Headphones Review - Acoustically Worth It? / Audio Technica ATH-M50x Headphones Review – Acoustically Worth It? 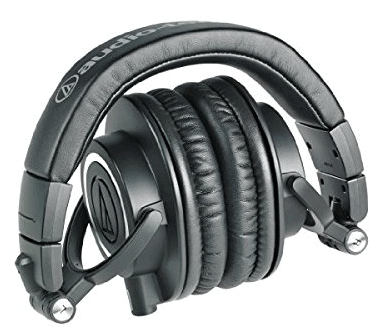 Audio Technica ATH-M50x Headphones Review – Acoustically Worth It? Personal headphones have had an interesting lifespan. Back in the 70’s they were mainly used to listen to vinyl Foreigner tracks at home and the bigger and bulkier models were great for encapsulating sound as you put a blanket over your head and sat in the rocking chair trying to nurse a hangover. The 1980’s and 90’s were all about music on the go and although the sound technology wasn’t great the foam earpads did a great job of relaying sound when you were on your boogie board or lifting weights on the beach. The 2000s were mostly about the headphones being discreet as convenient earbuds were a great way to not only listen to music but also take phone calls. It seems that the headphones of today have completely run the gamut as bigger, over the ear headphones are back in. These newer, larger models are more than just a fashion accessory or a way to send a message that you definitely don’t want to be bothered at the gym – they thrive on delivering literally the crispest sound quality ever. We instantly think of the common headphone wearer as a teenager walking through mall but with the audio quality of modern headphones you’re just as likely to find a classical music buff donning the cans. Not that they always haven’t been but headphones today truly serve an open and diverse market. One way to acknowledge that today’s models aren’t your Foreigner-listening uncles headphones of the past is the price tag. Popular brands such as Beats are costing upwards of $400 – more than his entire stereo setup back in the 80’s. That being said quality is still available at less than a monthly car payment with models such as the Audio Technica ATH-M50x. This Audio Technica ATH-M50x review will help you decide if it’s worth spending the extra couple hundred dollars for the cool Beats logo or if the ATH-M50x can deliver without leaving you cold as ice. 4 Conclusion -A Capable Set of Headphones? One of the problems facing headphone manufacturers today is satisfying a wide market without losing quality or performance in any aspect of the product. What this means is that products such as the Audio Technica ATH-M50x need to offer sound quality befitting of the user sitting in a home audio theater but also have the mobility for the person wanting to wear them on the train or at the gym. The first release of the ATH-M50x failed in the latter department as many consumer thought the design was too bulky for on the go travel although the studio-like sound was a big positive. 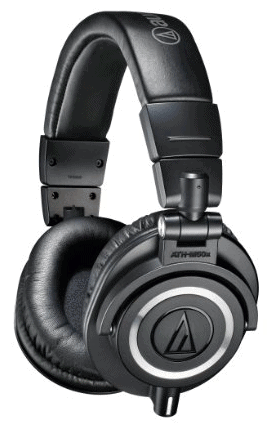 Since 2014 Audio Technica has manufactured a more streamlined version of the ATH M50x which is drawing rave reviews. One of the big allures of the product is that it’s supposedly marketed to the ‘smart’ listener. What this means is that Audio Technica won’t have any NFL players hawking their products in commercials or have banners hanging on UFC fights, they’ll simply offer a superior product meant for enjoying music. The company looks at those who buy Beats or Bose as purchasing nothing more than a logo – and at twice the price. One of the things that every over the ear headphone will struggle with is user comfort. There’s perhaps no way to avoid irritated lobes and steamy cups if you’re using the headphones while working out or in a hot studio. That being said Audio Technica does their best to produce a comfortable product. There is more padding in the M50x than it’s predecessors the M-50’s although the closed back design will always constrict some of the movement and versatility that would be enjoyed (while delivering better isolation though.) The M50x weigh about 10 ounces and although they are somewhat bulky, in this case the bulkiness is good as it spreads the weight more evenly across the top of your head. One thing with over the ear headphones compared to on-ear is that you’re always going to look somewhat like a ham radio operator from the 60’s. Some manufacturers try to combat that look by making their over ear headphones more stylish with sleek colors or with the addition of bright aluminum or comfortable leather but the M50x are designed like going to Wal-Mart at midnight – I’ve got nobody to impress. With an all plastic concept (in either black, white, or blue) and a beefy steel headband Audio Technica takes the approach of ‘it’s what inside that counts’ and much like the average girl in high school who shows up to the 5-year reunion drop dead gorgeous, the looks kind of the M50x kind of grow on you. They consider themselves the Anti-Beats for a reason in the motto of we’d rather impress with our sound than our looks. One thing to note is that the M50x are arguably the best sound quality headphones you can find for under $200. Despite this low price tag don’t be surprised to see the cans in use behind DJ booths and in studios as they are built for professional use as well as around the house listening. One thing that consumers might consider a fault is that, for an over the ear headphone the M50x does not have an active noise-canceling feature. Of course with headphones that do have noise cancellation there is a slight pressure within and the price tag is exceedingly higher. Many buyers feel that the closed back design offers isolation enough from the outside world to focus on the content within. Audio purists will love that the M50x offers clarity for all types of genres whereas some of their competitors favor electric or acoustic related content. The headphones feature explosive deep bass power and thickness on the low end but also combine that with control and separation for a pleasant listening experience. The treble is also smooth but crisp and combined with the bass it’s easy to see why the M50x has become so popular not only with music lovers but also film buffs and gamers as well. Instead of extra features contained there is one glaring weakness that the M50x do contain and that’s the lack of a cord that contains a microphone. With so many people using their headphones in conjunction with their cell phones and the ability to switch out cords within the M50x it’s somewhat discerning that the capabilities aren’t there with the headphones. In a way though that’s just Audio Technica’s way of saying this product is marketed and manufactured for music lovers and you can either take it or leave it. Of the detachable cables that are shipped with the package include a short 4′ straight cable, a long almost 10′ straight cable, and a coiled 10′ cable and that variety is at least nice to have. Like most headphones built with the capacity for DJ use the M50x also fold neatly for easy storage and transport. While that might not be an important factor for a product billed mostly for at-home or in-studio listening it merely allows you to take them to a different home or studio easier. Conclusion -A Capable Set of Headphones? To be honest the Audio Technica M50x really are an underrated product. Maybe it’s because overrated quarterbacks aren’t wearing them around their necks at press conferences or because they haven’t signed any notable sponsorship proposals but the headphones truly do fly under the radar. When you’re evaluating a product like headphones you need to take some special considerations into account. For example, the product may not be the best for mobility or really even that stylish but the manufacturer intended it for functionality in studio or home theater listening situations. Easily the best asset of the M50x is the price. At $169 (see here), you almost expect them to fail compared against their costly competitors but its a pleasant surprise when the sound quality isn’t the same if not better. In fact you could even buy two pair of M50x (one for mobile use and one for at home) and still be under budget of one of the pricier industry headphones. In summation the only thing you have to lose in trying out the $169 headphones (less at this listing as of this writing) is time wasted on inferior products before you buy what very well could be your last set of cans. All in all, this is a nice cost-effective set of higher end headphones. Our Beats Executive Review – Is It VIP Enough for you?